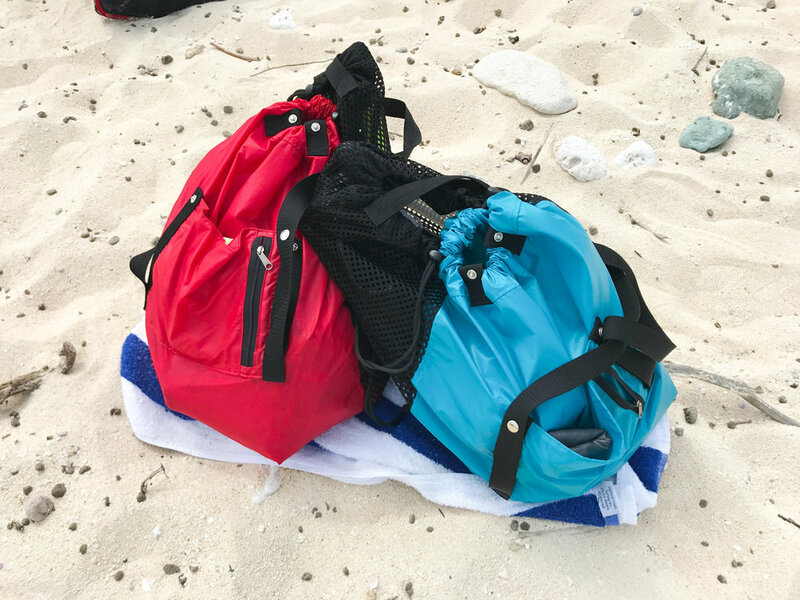 The last time my family went on a tropical vacation, it was revealed that my aunt and uncle had been using a plastic bag to hold their snorkel gear, and I was requested to make them some quick mesh bags for Christmas. This was an opportunity to improve on an existing product, and to explore materials that I had never used before. 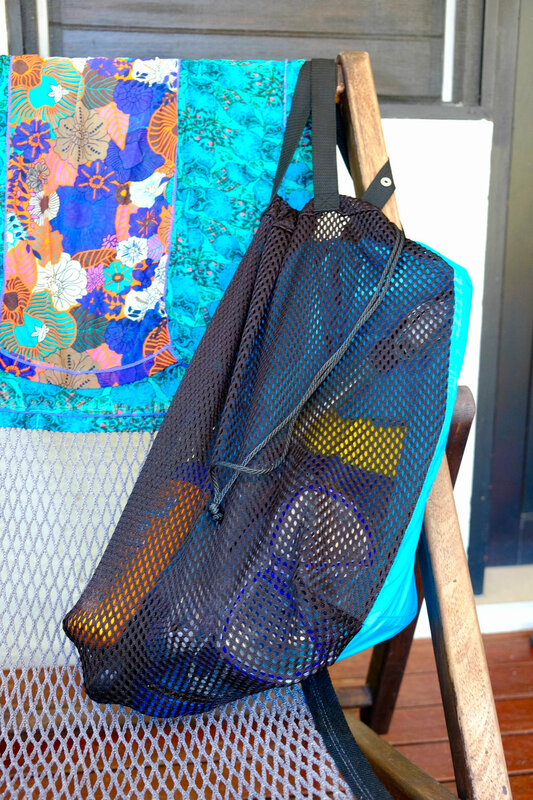 What started out as a simple mesh swim bag slowly morphed into something a bit more. Could it also hold a towel? Or a place for keys? My challenge was walking the line of functional, yet not unnecessarily complex or overcomplicated. This was my first time working with silnylon and athletic mesh, and I learned a bit more about what it means to design with these materials. 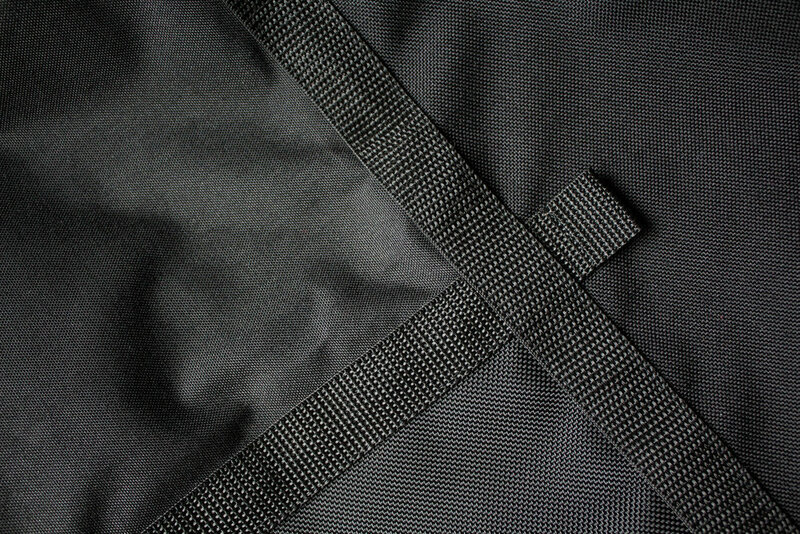 For example, there was a lot more stretch in the ripstop than I anticipated, and despite being called ripstop nylon, attaching pronged snaps directly onto the fabric felt weak and prone to tear. 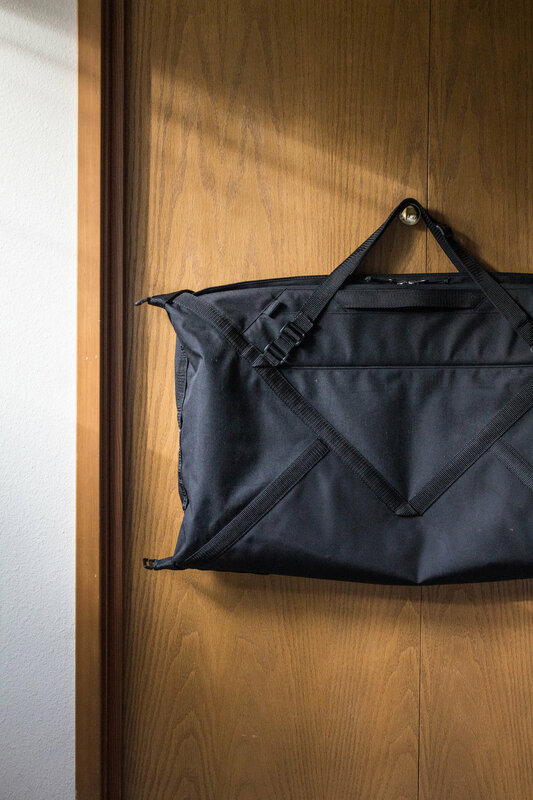 While this is a very simple bag, the addition of a third wall and french and flat felled seams made the construction and order of operations a bit more complicated. I think I ended up making eight of these and I needed some way to mechanize the process a bit for consistency. While still a box bottom bag, a water resistant dividing wall allows you to use the total 30L of space for both wet and dry goods. The nice thing is that the space is very flexible-- you can have 100% dry space full of towels to start the day, or 100% wet space full of all your used dirty beach equipment at the end of the day. I sent a couple of these on vacation without me to see how they held up on the beach. There are already things I want to change, but I'll wait to hear more concrete feedback. 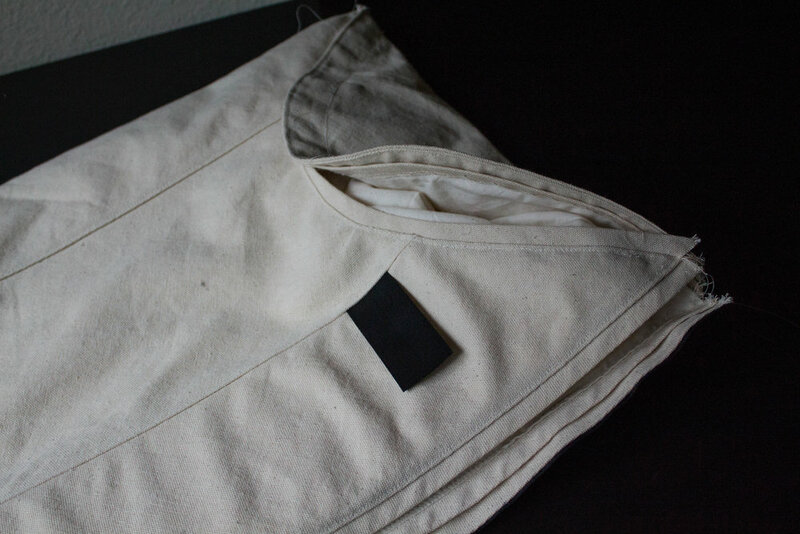 My friend @linnyistan makes cool things, like dive bags and regular bags and tailored shirts. You should go check her out. 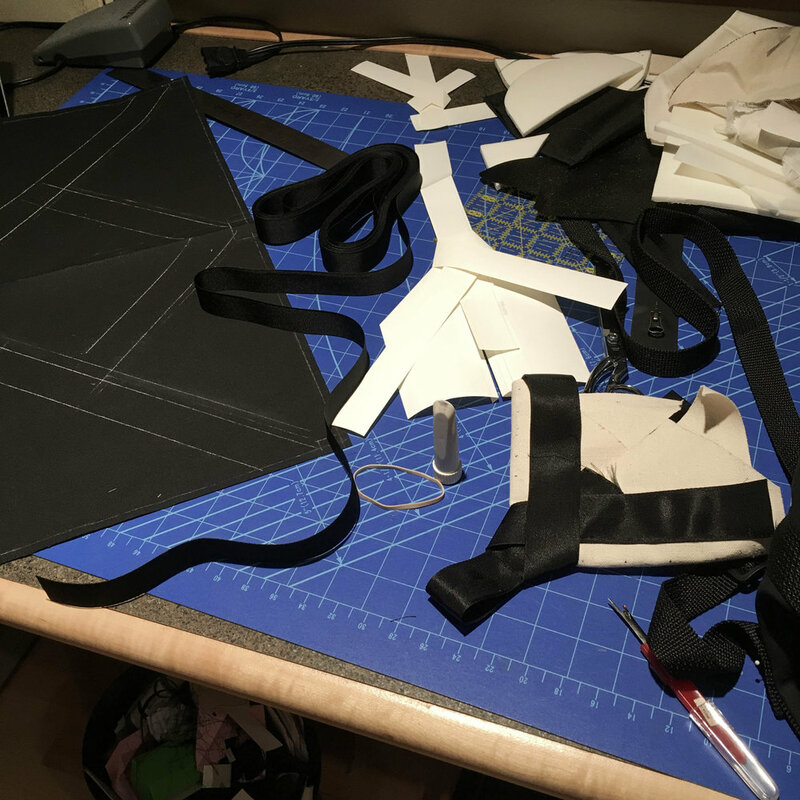 Some Christmas presents in the works for the family...really this is just an excuse to buy new materials and practice my flat felled seams! I'm learning the joy and terror of working with an orthagonal pattern on the ripstop grid-- on one hand, you can line things up fairly easily, but on the other hand, every mistake shows if you don't. More to come on this, once Christmas passes. For the past few years or so, I've had an obsession with fanny packs...and after mine broke I decided to see what I could come up with. The words 'slick' and 'fanny pack' are virtually never used together, but as I progress into the world of carry gear, this is the challenge I've set for myself. This bag is based off of my experiences abroad, seeing people of all genders- mostly festival goers and tourists- wearing fanny packs as crossbody shoulder bags. 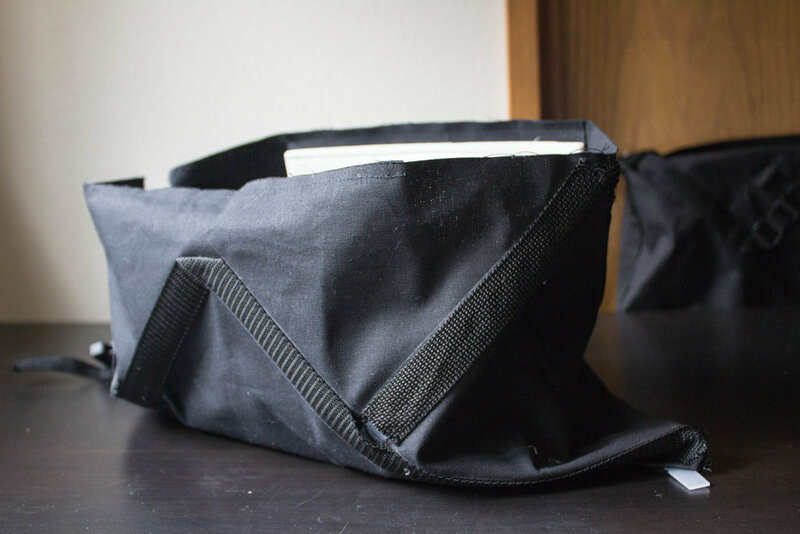 In an effort to gain a better understanding of how packs are constructed, I wanted to create a small fanny pack/sling bag that had similar internal structure of a backpack, but was scaled down to a more manageable size. My next project will most likely be a companion piece backpack in the same visual style. I'll continue to edit this post as I test/prototype more. 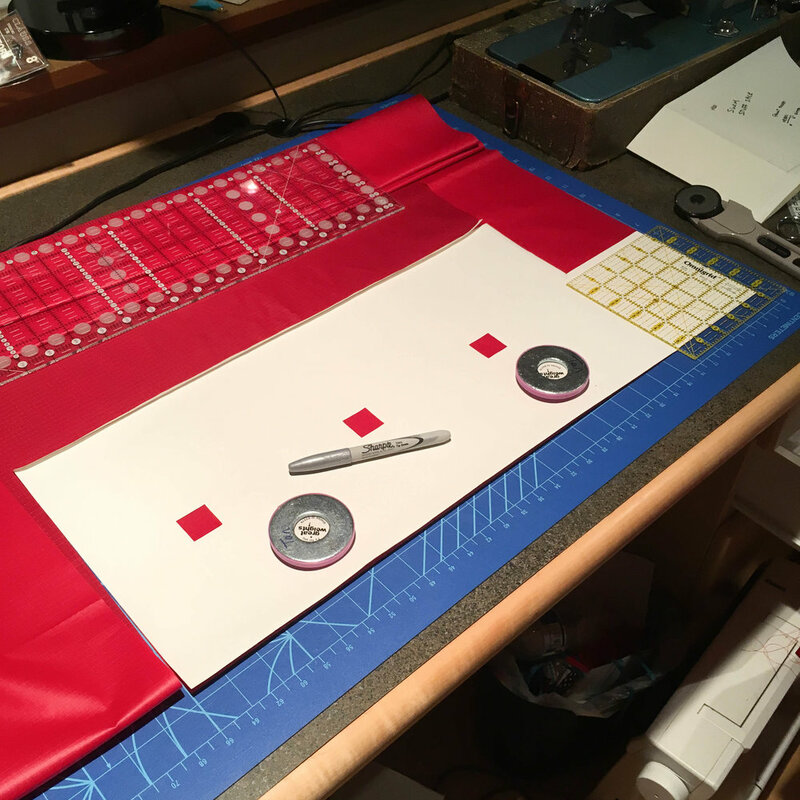 While I have already modified the pattern already, this current model uses ballistic nylon, spacer mesh, YKK zippers, closed cell foam, power net, and grosgrain binding. Ranging from Acronym to Herschel to Patagonia, more brands sold waist packs than I expected, and all with varying takes on the classic look. I'm always curious to see what people think works and why, and where the most variation comes from. My paper pattern mockups establish curves, seam lengths, and a better understanding of volume. 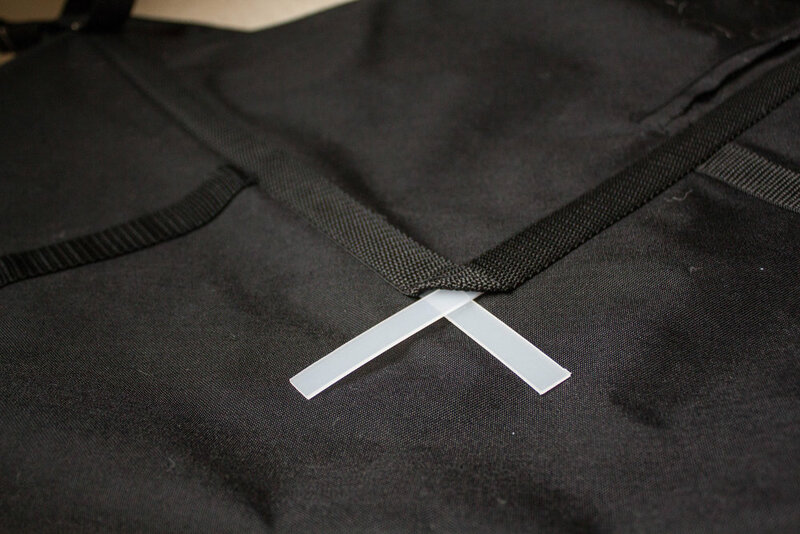 Thinking through different strap attachments and methods to hide the zipper tab as a safety measure.